ratio of annual potential evapotranspiration to mean total annual precipitation. Biotemperature refers to all temperatures above freezing, with all temperatures below freezing adjusted to 0°C, as plants are dormant at these temperatures. Holdridge’s system uses biotemperature first, rather than the temperate latitude bias of Merriam‘s life zones, and does not primarily use elevation. The system is considered more appropriate to the complexities of tropical vegetation than Merriam’s system. 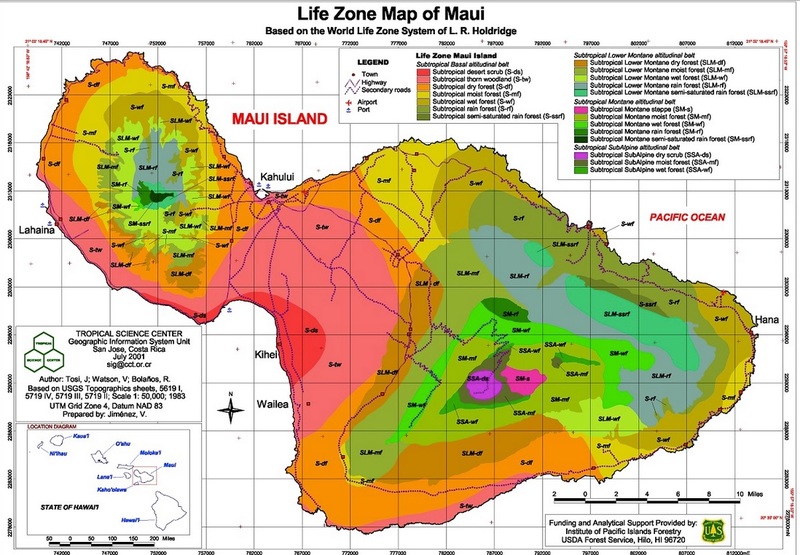 The map below of Maui, Hawaii has different zones such as desert, forest, scrub, and is divided into 20 areas. It offers information on what can grow in these areas and is helpful when buying Maui real estate. Although most of Maui is quite temperate, one would be surprised at how chilly it can be at the higher elevations. A heater (preferably central) in the winter evening is a necessity at higher elevations. Call us for more information. This varied climate on Maui results in so much different vegetation and wildlife. Upcountry blueberries, strawberries, lettuces, coffees are grown due to the lower temperature and rainfall. Down country in hotter temperatures, you will find mangos, citrus, avocados and more. 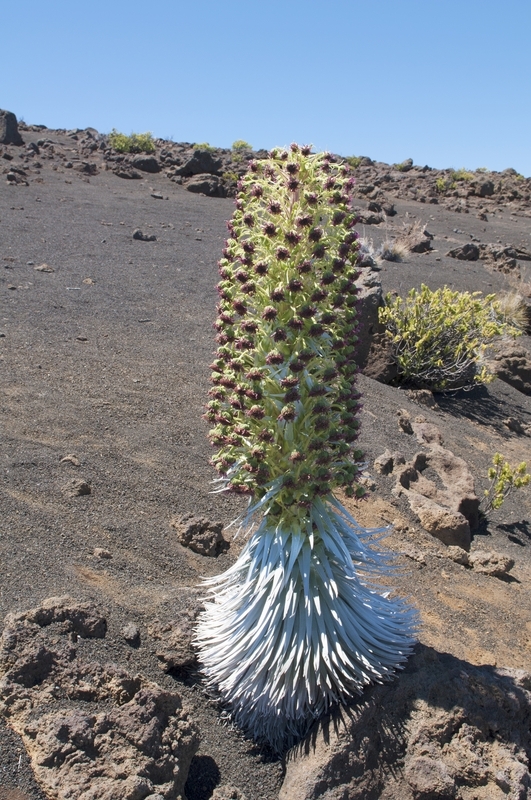 High above the clouds near 10,000 ft above sea level you will find one of the rarest plants called Haleakala Silversword . Its scientific name is a long one(Argyroxiphiumsandwicense subsp.macrocephalum). It only blooms once in their lifetime and finishes their life cycle soon afterwards, scattering their seed. On my daughter’s 10th birthday, we took a hike to see this rare plant in bloom. Haleakala Silverswords live between 3 and 90 years or more. These plants are protected so don’t be tempted to pick one. Haleakala Crater, Maui, Hawaii. 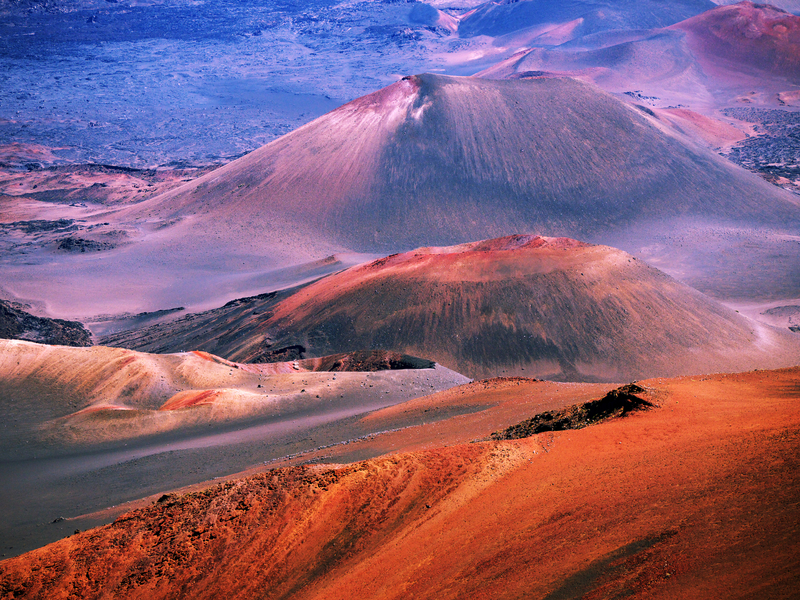 The beauty of the colorful cinder cones. It looks like another planet. The “silence” up there is beautiful. If you ever get a chance to watch the sunrise on Maui from there, do it! So from high above you can go to the rainforest in Hana, then to rainier side of Haiku and on to the sunny shores of Makena. The choice is yours. The world on one island. Call us today to find your paradise! All photos have been copyrighted by Jeannie Kong or has been given permission to use. 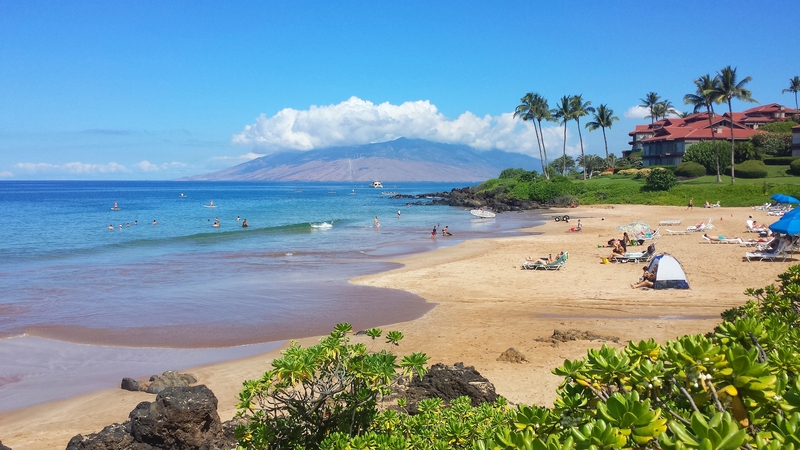 Previous post What is Fee simple Versus Leasehold on Maui, Hawaii?